The qualitative hCG test checks for human chorionic gonadotropin in the blood. What is a qualitative hCG test? The hCG blood test checks the blood for the presence of human chorionic gonadotropin. 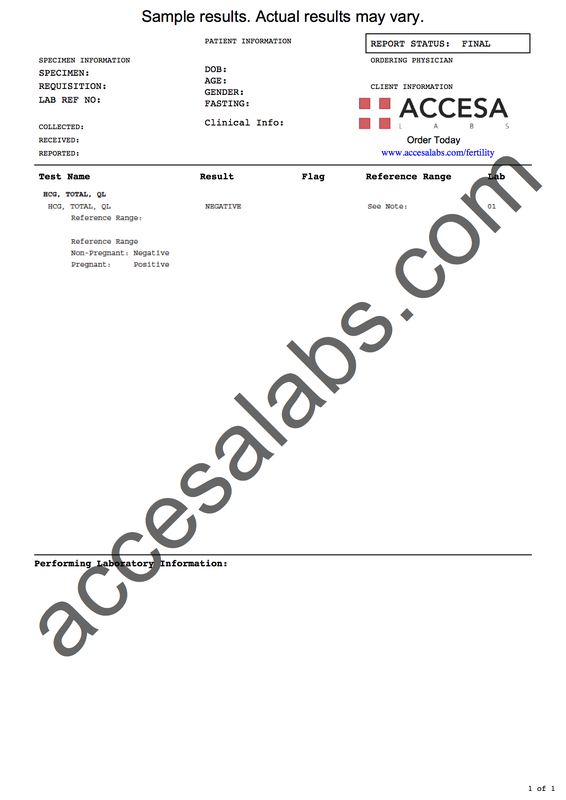 What does an hCG blood test report look like? This qualitative hCG test will report levels as positive or negative. This hCG Test (Qualitative) is a blood test. The qualitative hCG test checks for the presence of absence of human chorionic gonadotropin in the blood. This test is often used to check for pregnancy for people who want a positive or negative result. For people who want a quantitative pregnancy blood test, this blood pregnancy test is usually a better option. hCG Test (Qualitative) at Guaranteed Prices.